By 2016, nearly 10% of consumer spending will be done online, according to new estimates from Forrester. By then, the research group expects U.S. ecommerce sales to reach $327 billion -- up from roughly $200 billion in 2011. Key growth drivers include consumers’ greater familiarity with the Web, along with rapid mobile and tablet adoption. Further fueling ecommerce are new shopping formats, including flash sales and subscription models; online loyalty programs; and aggressive promotional offers from Web retailers. As such, online sales are expected to grow from 7% of overall retail spend in 2011 to 9% by 2016, according to Forrester. 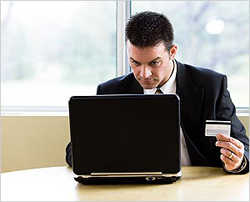 In 2011, 167 million consumers, or 53% of the U.S. population, purchased something online. Forrester anticipates that figure will grow to 192 million, or 58% of the population, by 2016. “While one driver of the growth of ecommerce is new shoppers buying online, the larger factor is the increasing amount that tenured online shoppers are spending online,” according to Forrester analyst Sucharita Mulpuru. Mulpuru expects the average online consumer to increase the amount they spend online by 41% in the coming five years -- from an average of $1,207 in 2011 to $1,738 by 2016. To date, much of the growth of ecommerce has been driven by ecommerce players that have realized the value of the Web. They have adapted their sites accordingly to capture the wallet share of consumers’ intent to purchase online. This is particularly true of categories such as apparel and jewelry, which have integrated rich selling tools such as zoom, “color swatching” and “configurators," as well as office supply stores, which have broader payment options. Only three of the 30 retail categories that Forrester measures in its ecommerce forecast had online sales greater than 20% of the category in 2001. By 2011, however, that figure grew to eight categories. By 2016, Forrester expects that figure to grow to 14 categories. Better selling tools and the ease of purchasing online are factors that have driven more shoppers to buy online and to spend more money every year. Online retail sales also win as they take significant share away from physical retailers. For its research, Forrester partnered with Bizrate Insights to survey online shoppers immediately post-purchase.